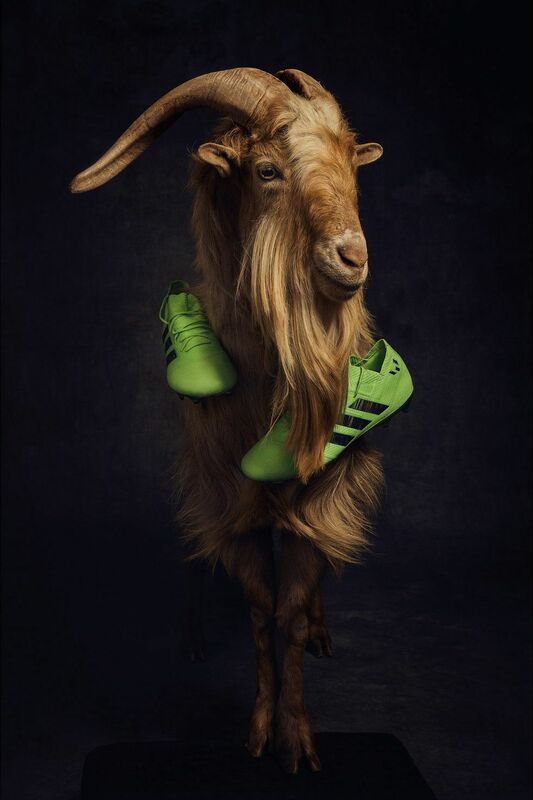 Leo Messi Is the G.O.A.T. 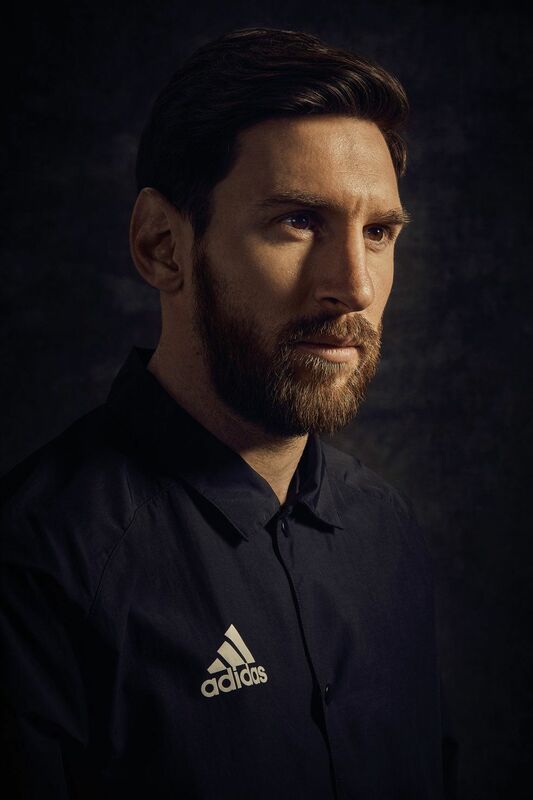 He's led FC Barcelona to 32 trophies, won an Olympic gold medal with Team Argentina and holds the Guinness World Record for most goals scored in a season but there's still one major milestone the world's greatest soccer star has not yet achieved: a World Cup victory. Is this the year he and his Argentine teammates clinch soccer's highest honors? In his only official visit to Argentina as president of the United States, Barack Obama regretted that although he had met the country's top officials and even Pope Francis, he did not have the chance to meet the Argentine he admired and his daughters idolized: Leo Messi. While not all of Messi's fans are so distinguished, there are millions of them across the world. 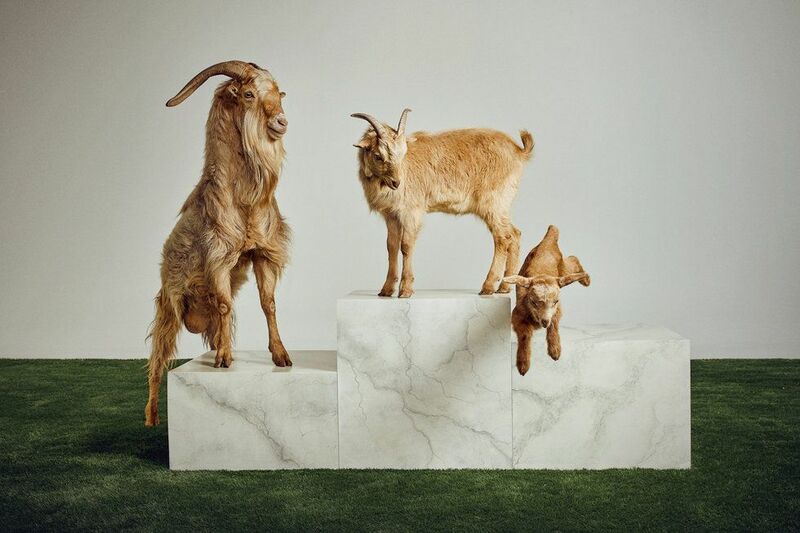 Thanks to a mix of exceptional talent, determined effort and the desire to constantly improve, Leo Messi has risen to become soccer's reigning G.O.A.T. (Greatest Of All Time). And while critics (not to mention fans of Pelé, Maradona or Cristiano Ronaldo) might challenge that title, Messi's list of accomplishments is hard to beat. To date, he has helped his team, FC Barcelona, win 32 trophies — including nine Spanish Liga titles and four in the Champions League. He led the Argentine national team to the gold medal at the 2008 Beijing Olympic Games and brought them victory at the FIFA Under-20 World Cup in 2005. As an individual player, he has won five Ballon d'Or awards and five Golden Shoes; he holds the Guinness World Record for the most goals officially scored in a season (that would be 50 goals for the 2011-12 La Liga season). He is also the highest goalscorer in the history of La Liga and holds a seemingly endless list of other records— not including the records he continues to break. Amidst all of these achievements and all of this adoration, Messi has remained remarkably humble. "I don't consider myself the best, I think I am just another player," he says. "On the field, we are all the same when the game begins." 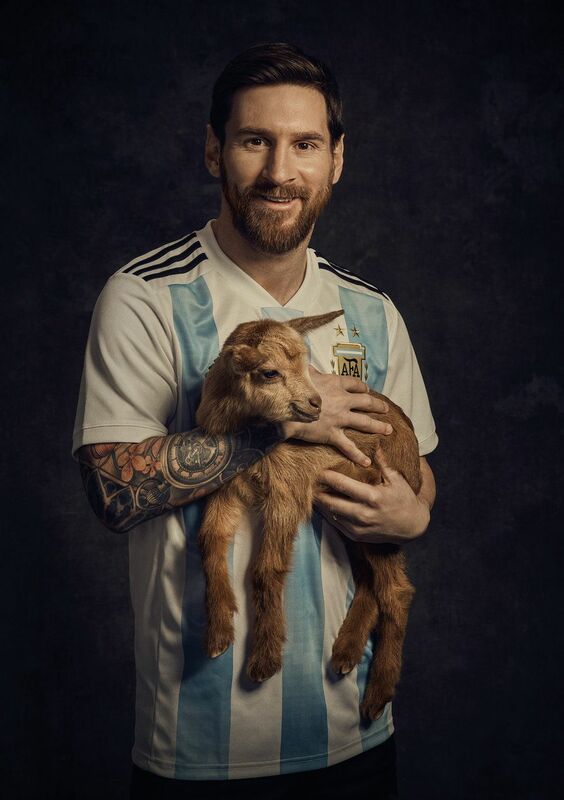 Lionel Andrés Messi Cuccittini was born on June 24, 1987 in Rosario, Argentina, a city of just over one million people 180 miles northeast of Buenos Aires whose only other notable resident happens to be Che Guevara. Like almost every kid in the country, Messi practically learned to walk with a soccer ball attached to his feet. Rosario's unpaved streets were his first soccer field and its walls his first goals. The place is now a pilgrimage point for fanatics of Number 10. His grandmother Celia walked him hand in hand to his first soccer games, and every time he scores a goal, he looks to the sky and points to the heavens in tribute to his grandmother, who died in 1998. His talent for soccer was inversely proportional to his height. Messi suffered from a growth hormone deficiency, and the cost of treating his condition proved too expensive for his family. But since the youngster's soccer talent was already obvious, his father Jorge went looking for a club who would sign his son and pay for the treatment. He had no luck with the Argentine teams Newell's Old Boys and River Plate, both of whom refused to cover the $1,000-per-month bill, and looked instead to Europe. Barcelona had heard of young Messi's skill and was the only club that agreed to pay for the costly medical procedure. From the very first day a 13-year-old Messi arrived to Barcelona with his father in September 2000, he felt like he belonged: "I remember that when we arrived here we realized that there wasn't such a big cultural barrier. Barcelona is a city that really cares for foreigners, it is used to receiving thousands and thousands of visitors." "Argentines do everything we can to achieve what we want." His circumstances were not those of a normal boy, and reaching his dream was not without sacrifice. His family had to divide their time between Argentina and Catalonia, there was a lot of bureaucracy involved with getting signed to Barça and he spent months training without being able to compete. His Barça team tryouts were an especially nerve-wracking experience; he would later tell Barcelona newspaper El Periódico that it was one of the only times in his life he's been nervous. To Barça he was a risky bet: a boy that was too young and too short. Messi also had a run in with a short-sighted manager: "The manager who was there used to tell [the boys]: 'This guy who comes from outside, he can't stay here, we must kick the hell out of him,'" remembers Messi in an interview with the Argentine television channel TyC Sports in 2005. But most others recognized his potential, and in 2001, he was accepted into La Masia, the soccer school of FC Barcelona. Here, he met a group of talented young athletes and trained with them to become a better player. Leo was a shy boy who spent the first few days in a corner without talking to anybody. "We thought he was mute," Cesc Fábregas told Lu Martín from Spanish daily EL PAÍS back in 2008. "He was extremely short," recalls Barça teammate Gerard Piqué in the film Messi by director Álex de la Iglesia. But it wasn't hard to win them over once they saw his talent with the ball. Messi made his Barça debut in 2004, just four years after arriving to his new city, and the young forward quickly became friends with Ronaldinho and the other heavyweights on the team. Two years later, his name was already being chanted at Camp Nou after he wowed crowds in the friendly pre-season games. By 2009, he was the absolute king and the driving force that pushed his team to become the only team in history to win all six possible titles in one year: the Copa, La Liga, Champions, FIFA Club World Cup, Spanish Super Cup and UEFA Super Cup. And he is still sweeping up the victories. In 2018, he helped Barça win The Double again (Liga and Copa), and for nine seasons he has scored more than 40 goals in each campaign. A new record for Number 10. But Messi is not content to rest on these achievements. "I take each day as a challenge and I always try to outdo myself," he says. "I have always been like this." One goal that's surely on his radar is winning a World Cup, without a doubt the biggest achievement he hasn't yet bagged. He came close in 2014 at the World Cup in Brazil when his team faced off against Germany in the championship match. In a heartbreaking loss, Messi and his fellow Argentines got defeated by the Germans 1-0. Now, as Messi returns to the World Cup this month in Russia, he and his teammates have another shot at the championship. "It will be important to prepare well, because in the qualifiers we were fighting up to the end and we didn't have time to prepare ourselves," Messi says of the mindset that he and his Argentina teammates have leading up to the tournament. He adds, "We still have to make ourselves stronger as a team to be in the running to win and be at the same level as other teams like France, Germany, Brazil or Spain. But we have a good group of players and the Argentine team is always going to be a candidate to win, it doesn't matter how we get there. We always aim to win and we will try to go slowly but strongly to advance in the competition." Regardless of how he and his teammates perform in Russia, his legacy past, present and future is certain. Not only does he have tremendous influence on the field but he has also created something of a "Messi Effect" on his team, his rivals and even the public. This season in a game against Sevilla FC, he jumped on the field at the 58th minute despite suffering from muscle discomfort. It seemed his team had been given a burst of energy from just seeing him come onto the field, and the opposing team appeared to shrink in fear as though it had seen a ghost. The Sevilla stadium, which has some of the fiercest fans in La Liga, was terrified: When the best player in the world jumps on the field, anything can happen. He wound up scoring a goal and helped his team claw its way back from defeat to reach a tie. 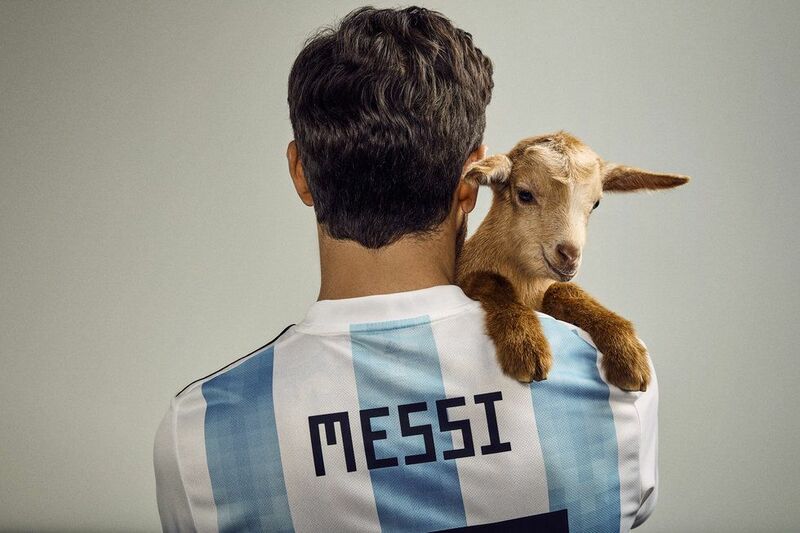 The Messi Effect even extends, apparently, to certain animals. 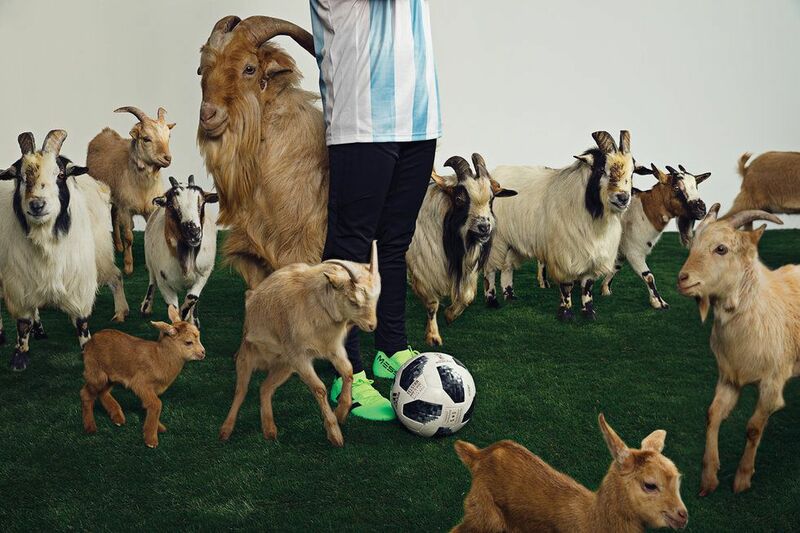 When Messi arrives to our photo session and sees the goats on set, he warmly approaches the animals, laughing and playing with one of the babies. Both pose for the photo like professional models. He gives the camera a knowing look, a hint of defiance in his eyes. The photo session goes off without a hitch. "I am a big fan of animals," he says. "I grew up with them and they have taught me many things. Now we have our dog Hulk who really is part of the family, we always include him. Our children learn so much from Hulk: The love shown between him and the kids and the kids and him is constant." "Argentina still has to make ourselves stronger as a team to be in the running to win [the World Cup]." 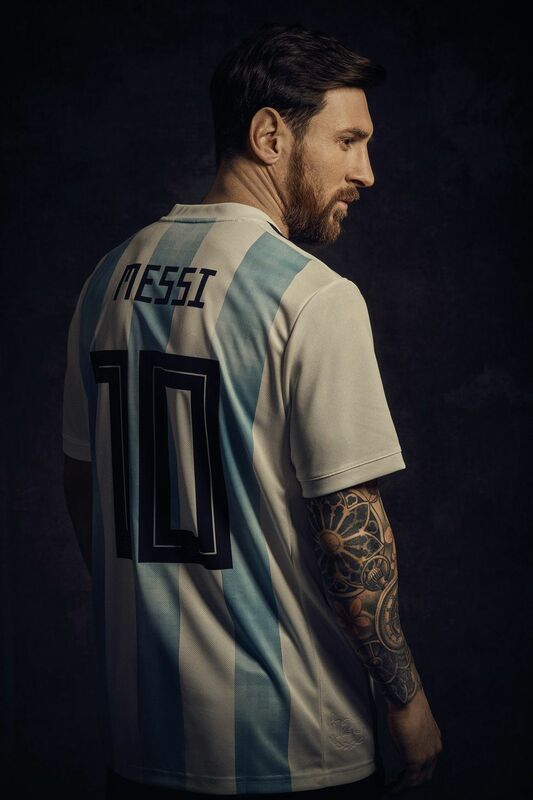 As he gears up again to don the sky blue and white stripes of his Argentina jersey, it's clear that although Messi may have spent more years of his life in Spain than in South America, he still speaks, thinks and breathes Argentina. "I had to leave Argentina when I was very little and there are things I miss a lot," he says. "I go back whenever I can to recharge my batteries, and someday I hope I will be able to go back and live there. There are times when you notice that the good things about your country are what give you greatest happiness and the bad things, the greatest pain." He points to certain Argentine traits that he thinks he'll always possess, like their "high level of determination." 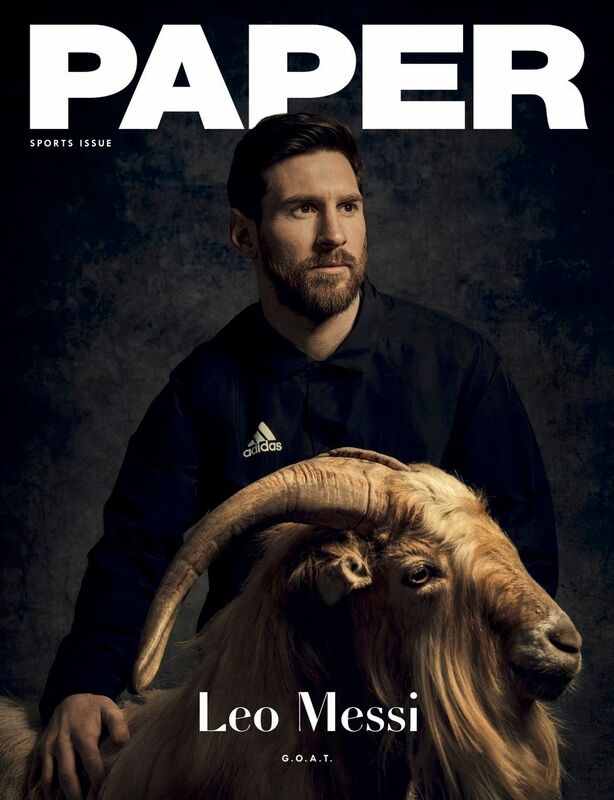 Argentines, Messi says, "do everything we can to achieve what we want," and "that feature, which perhaps in me is a mix of ambition and commitment, has always been and always will be a part of me." Argentine down to the marrow, when traveling for games Messi is never without his mate, a bitter tea that is practically a religion in South America. An important part of his connection to his native country and his hometown is his wife, Antonela, who is the cousin of one of Messi's friends and is also from Rosario. The parents of three sons — Thiago, Mateo and Ciro, who was born this past March — they are focused on being "a very normal family in every sense," Messi says. When he does have a spare moment, it's important to him to spend it with his family, he says. One of his favorite ways to relax off the field is "playing video games," and he says that "with Thiago, I have met a serious rival and found a way to recover a hobby I'd forgotten." Messi is also known for his charity work. A visit to a children's cancer hospital had a particularly big impact on him, and he decided then and there to create his own organization: the Leo Messi Foundation, which focuses on children's health and education. He is also a UNICEF Goodwill Ambassador. "Helping those most at need is a good way of giving back what I have received from society," he says. "I am very proud to be a UNICEF Goodwill Ambassador and to collaborate with other projects where I can put in my grain of sand so that we can live in a world that is better for everyone." At 30 years old, Leo Messi has already realized many of his dreams. Since he was little he was determined to play on the Argentine national soccer team, and today he is the captain, taking the team to three grand finals in three years (the 2014 World Cup, the 2015 Copa América and the special 2016 Copa América Centenario). But three lost grand finals. Three dreams that were just within reach before slipping away. These upsets have made the players the target of the country's ruthless critics. "It seems there's no point in reaching the final," one recently said on the program La Cornisa (The Ledge) on the Argentine channel America TV. It is not easy to be number one in a sport that's fueled by pure passion. But it's doubtful these losses or his critics will hamper Messi's drive or psych him out as he heads to Russia. "What has most defined Argentines has always been our ability to overcome difficulties that arise," he says. "We have the ability to come together and push ourselves to get out of tough moments, and that is something I value a lot in our people." He adds, "Over the years, I have also realized that it is not good to let your dreams become an obsession. It increases the pressure and reduces the possibility of reaching them." 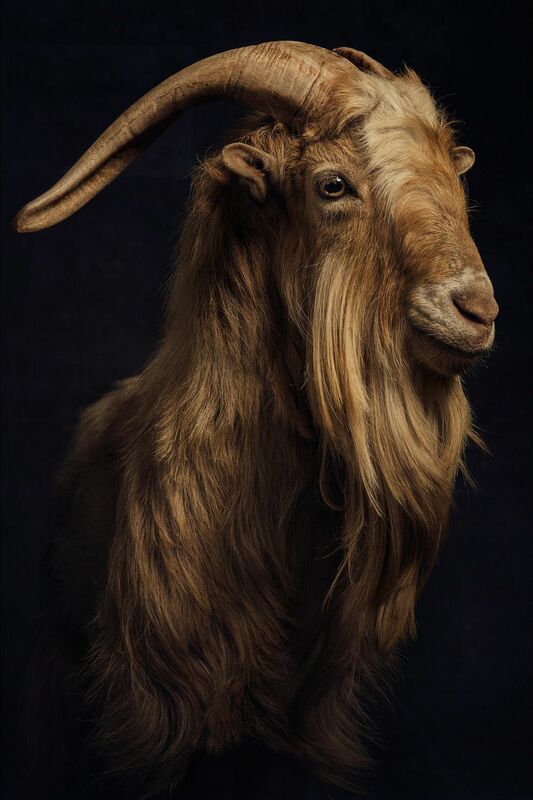 PAPER worked in tandem with La Granja Natura, a Barcelona farm and educational center, for this shoot. Veterinarians and animal handlers were present on set to ensure the safe treatment of the goats and to verify that they were healthy and suffered no harm.